We speculated something of this nature last week. But now it has been confirmed. 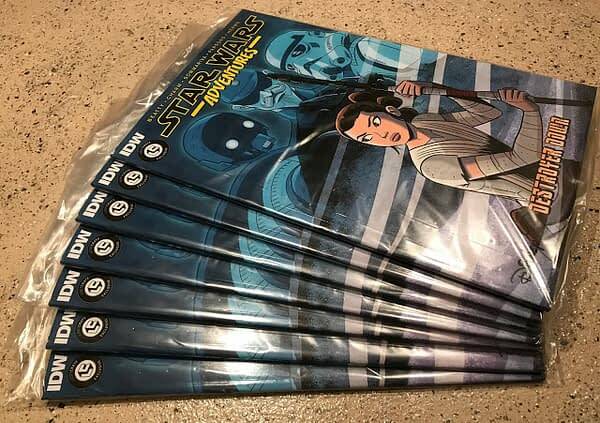 Scott Beatty has confirmed he has written an exclusive Star Wars Adventure comic book starring Rey for IDW, which will appear in the Loot Crate standard and DX crates shipping in December. 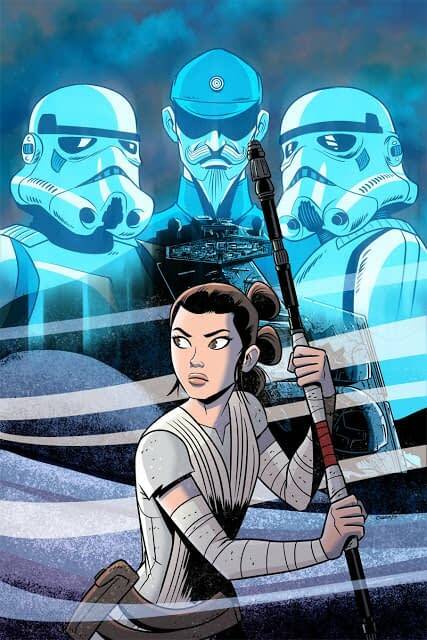 A week or two before the new Star Wars Adventure: Forces Of Destiny comic comes out from IDW, also starring Rey for the first issue. Although it was not distributed to Loot Crate through Diamond Comic Distributors, so like other issues of Harley Quinn and Justice League Of America, it will be counted on the official stats. That will, however, see half a million copies of the comic in circulations. And it’s not a small matter…. Scott Beatty’s 60 page story – man, this isn’t a light one – is called “Destroyer Down” and is told in three chapters with art by Derek Charm, Jon Sommariva, Sean Parsons and Matt Herms. Here’s the teaser… cue the scrolling words. You know, if they had allowed Diamond to take a cut for being the middle man, this would have counted as the best-selling comic book of 2017 without once seeing a copy set foot inside comic book shop. The crates have passed their ordering deadline now. 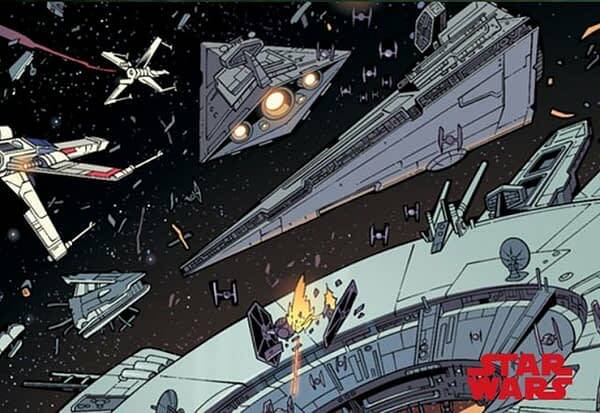 So if you want a copy of this exclusive comic and didn’t sign up… good luck on the aftermarket.